Whether the passing of a loved one is sudden or expected, many families are unprepared for the expense of their funeral and the potential loss of future income. Unpaid bills, attorney fees, funeral and burial costs and lost income are all immediate and relevant concerns that can quickly overwhelm surviving family members. 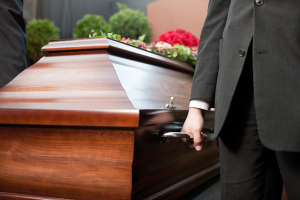 Did you know that the average funeral expense is $7,310.00, according to the National Funeral Directors Association in May of 2010? Purchasing Final Expense Insurance won’t make the loss of a loved one any less devastating, but was designed to help alleviate some of the financial burdens surviving family members have shortly after the loss. Use our Final Expense Calculator to the right for a quote on the premiums for coverage. The cost is less than you might think.